Is This LG's webOS TV? Rumors have circulated for some time now about LG working on an open, webOS-powered smart TV. Now, a leaked image provides a glimpse at what that might actually look like. 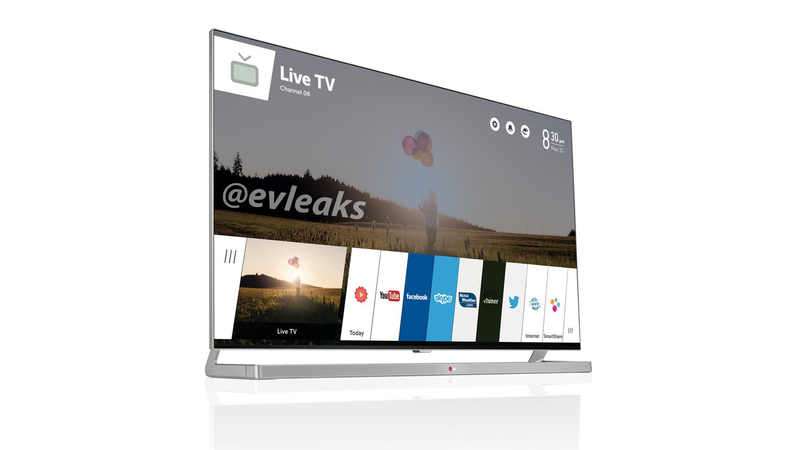 Evleaks has published this photo of the rumored LG webOS TV, which shows what the the webOS Cards interface might look like on-screen. It's not exactly the same as the Cards interface that appeared on the ill-fated webOS phones, but it is in some ways similar—particularly in the way it includes thumbnail overviews of apps and content. The image hints that the TV could include apps for YouTube, Facebook, Skype, and Twitter, as well as LG's SmartShare service and some kind of web browser. The other alternative is, of course, that this is a mock-up and it doesn't quite paint an accurate picture of what we can expect from the new TV.